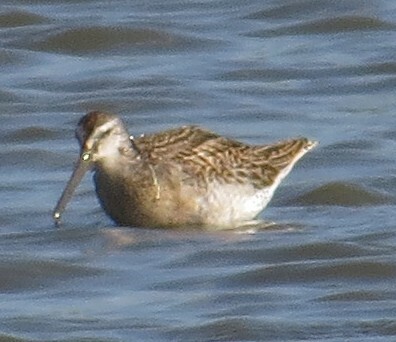 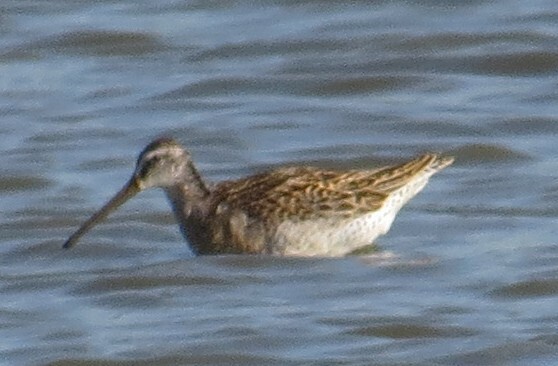 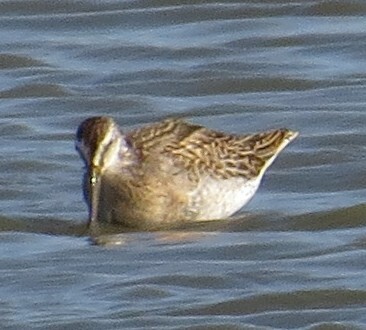 The primary target was a juvenile Short-billed Dowitcher (rather rare inland) that Dan Jones had found; juvie dowitchers are easily identified by the barred tertials (or the lack of barring in the case of Long-billed Dowitcher). 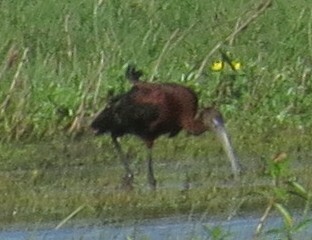 Just for kicks and grins we went to see if the Glossy Ibis was still around, and it was! 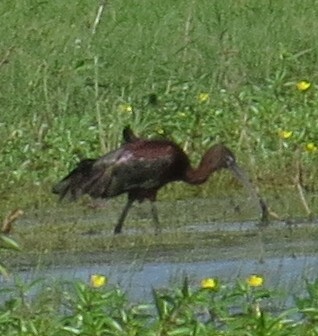 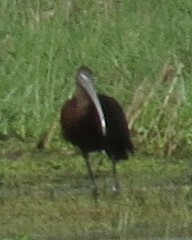 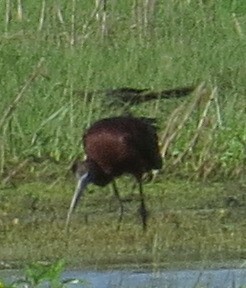 Breeding Glossies also have a thin white border around the face, but the actual face is gray, not pink, as would be the case with a breeding White-faced Ibis.